Tasmania, the island state of Australia, is 40 degrees south of the equator. Its dramatic coastlines, rugged mountains, spectacular wilderness, sparkling highland lakes and beautiful beaches make Tasmania one of the most desirable places in the world to live and work. The northern Tasmanian city of Launceston is a vibrant city known for its interesting architecture, laid-back lifestyle and excellent schools. There is a wide range of cafés, restaurants, pubs, theatres, shopping centres, open-air markets and cutting edge festivals. Tasmanians breathe the world’s cleanest air, drink pure water and grow mouth-watering produce from rich, fertile soils. Its people are resourceful, applying their creativity and design skills to artistic endeavours, scientific research and production. 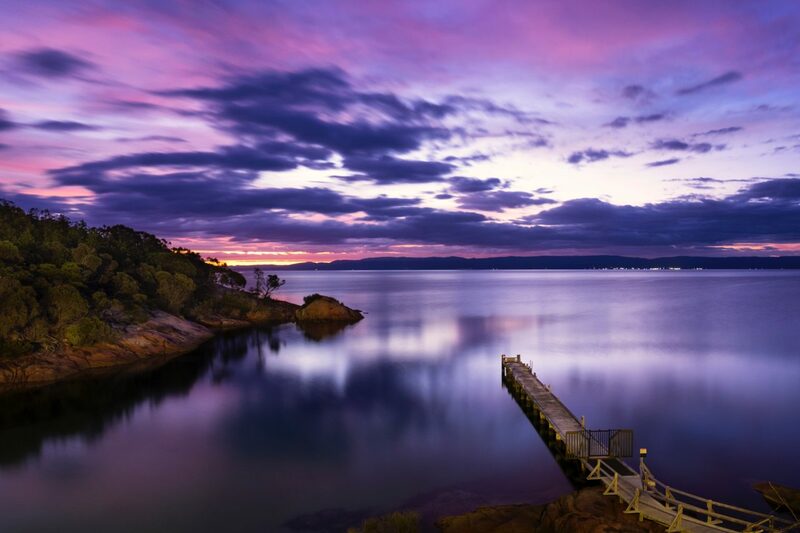 Tasmania has become known globally as a land of extraordinary natural beauty, with a relaxed and rewarding lifestyle. The state has 40 per cent of land reserved as national parks and world heritage wilderness, and has the purest air on the planet. Tasmania is a popular destination for both Australian and international visitors, with the capital Hobart named one of the top 10 cities in the world for 2013 by Lonely Planet. Home to half a million people, the island state has a lively cultural scene, with year-round festivals drawing visitors from around the world, making Tasmania a strong drawcard for artists, musicians and other creatives. Staff and students at the University of Tasmania have the chance to enjoy all the state has to offer, with popular activities including hiking, kayaking, and sailing, as well as museums, concerts, markets, and cafés. Visiting Tasmania provides the opportunity to experience a thriving island culture, deeply invested in conservation, social mobility and global participation in education innovation, culture and the arts. The breathtaking Freycinet National Park, lies equidistant between Launceston and Hobart, to the east of the island. Home to a many rare and endemic species of flora and fauna, the protected area is a magnificent wilderness of undulating mountain ranges and remote bays. The park is renown for its beautiful scenery and biodiversity – all bathed in an ethereal pink light, unique to this hidden corner of Australia. Home to Australia’s fourth oldest university, Tasmania has an international reputation for excellence in learning, teaching and research. Ranked in the top two per cent of universities globally, in 2015 the University of Tasmania received more teaching awards than any other Australian university. Serviced by 5 airports, travelling to Tasmania from mainland Australia and New Zealand is easily achieved. The only problem is once you have arrived, you’ll never want to leave. Ready to visit Tasmania? Start your journey at the University of Tasmania here.